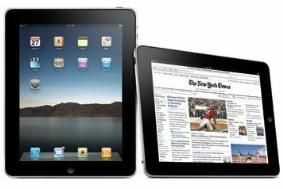 Apple sold 7 million iPads over Christmas, reports record profits | What Hi-Fi? During the same period, Apple sold a whopping seven million iPads and 16.24m iPhones. Sales of iPods were equally healthy at 19.45 million units. ""We had a phenomenal holiday quarter, with record Mac, iPhone and iPad sales," says Jobs. "We are firing on all cylinders and we've got some exciting things in the pipeline for this year, including iPhone 4 on Verizon [in the US]." Tim Cook, Apple's chief operations officer, will stand in for Jobs while he is on leave.